For my first few days in the Netherlands I was sick and could barely hold any food down (btw, being sick while traveling solo suuuuuucks), meaning my stomach lost out on most of Amsterdam’s abundant vegan options. Sad faces aside, I quickly rounded up any lost calories when I bought a ginormous creamy, raw cheese wheel, or at least it was a big portion for one person to eat in two weeks because raw milk products can’t leave the country. 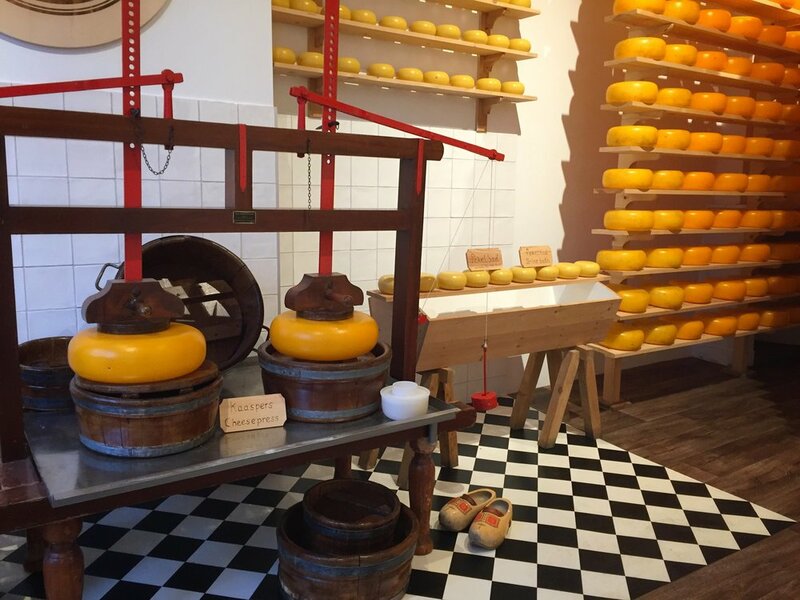 So it’s safe to say that I enjoyed some delicious world-class Edam cheese and cloyingly sweet stroopwafels, washed down with local beers and shot glasses filled to the rim with jenever. Cheers!